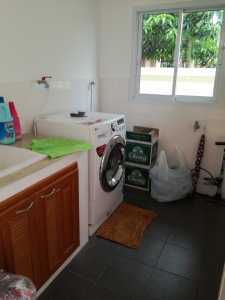 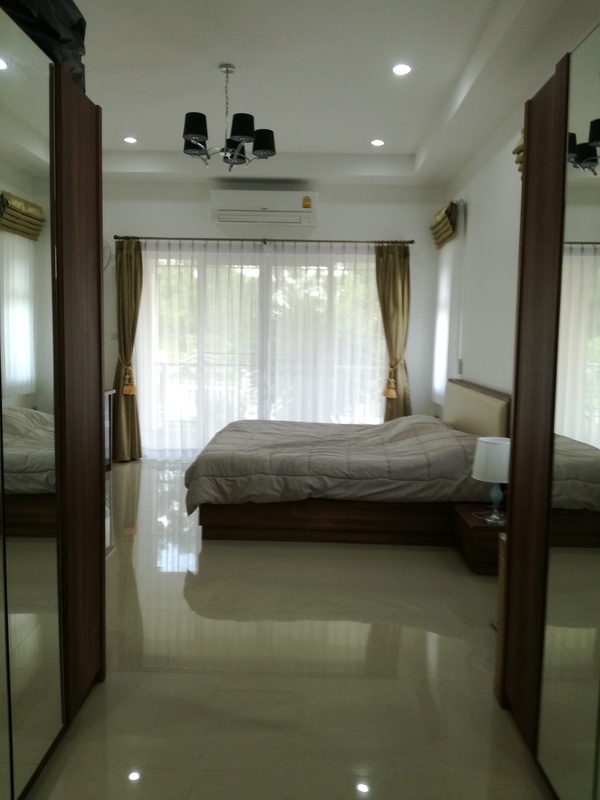 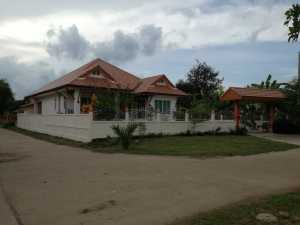 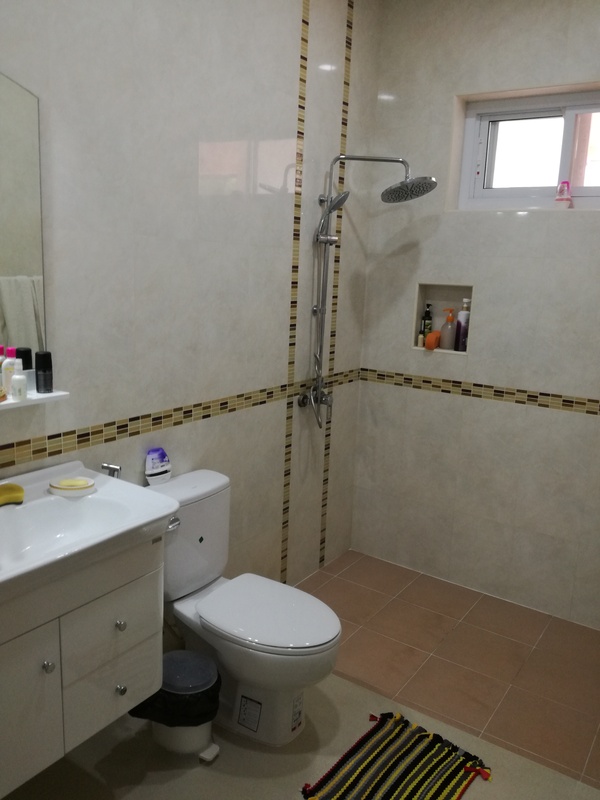 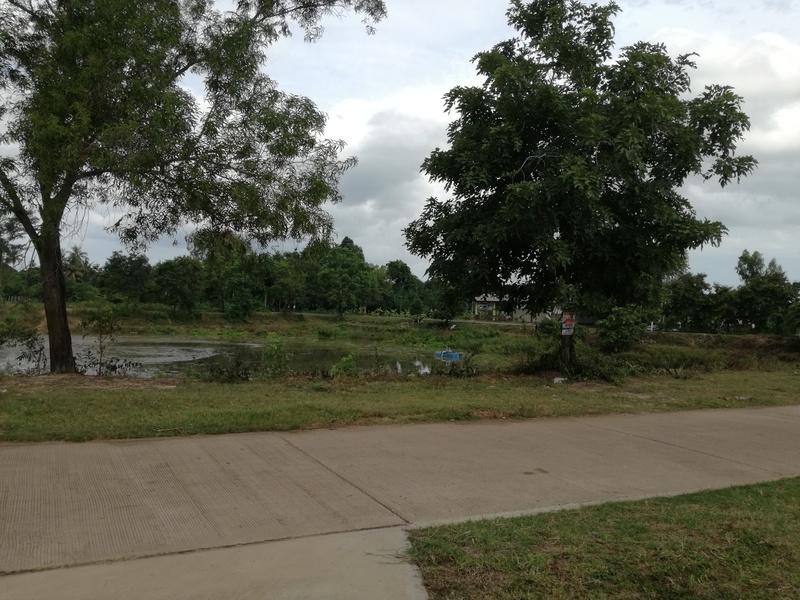 Description: A conveniently located 3 bedroom house in Ban Yang, minutes from Buriram city centre. 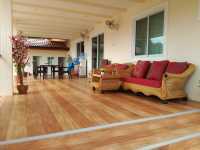 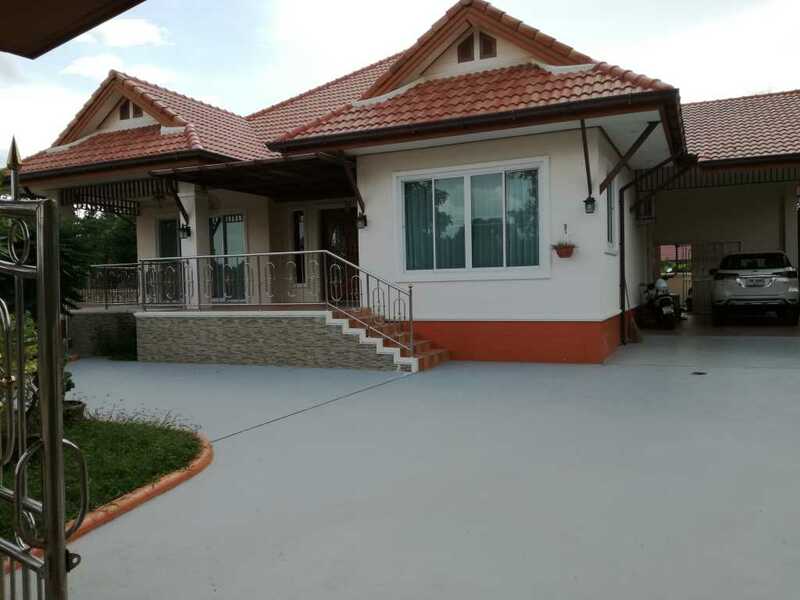 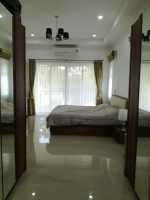 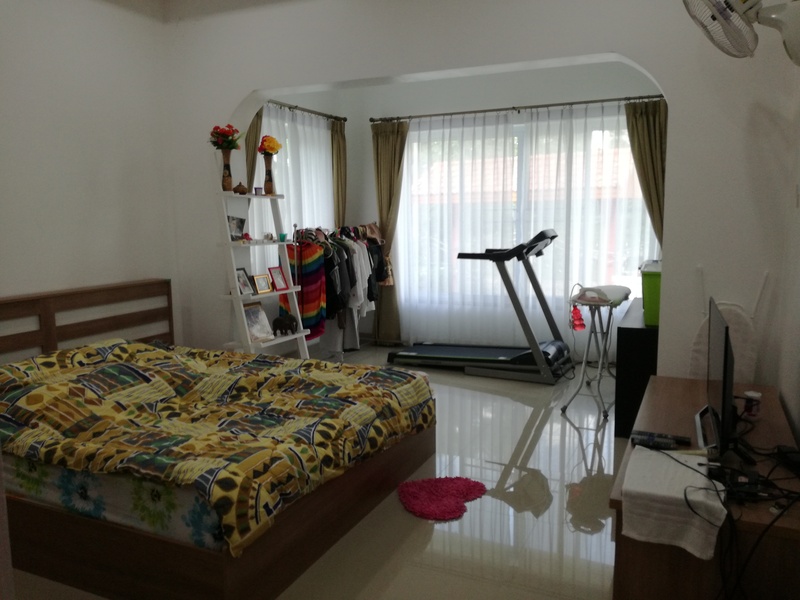 It is situated in a quiet soi and is set on a plot of 1 ngan and 38 Talang Wah (552 sq. meters) and is built approximately a year ago. 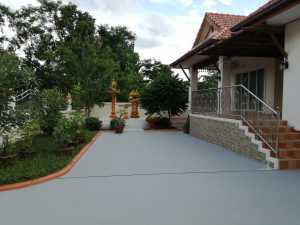 It has a beautiful perimeter wall with an electric gate. In the front of the house has a nice garden which is very easy to maintain. 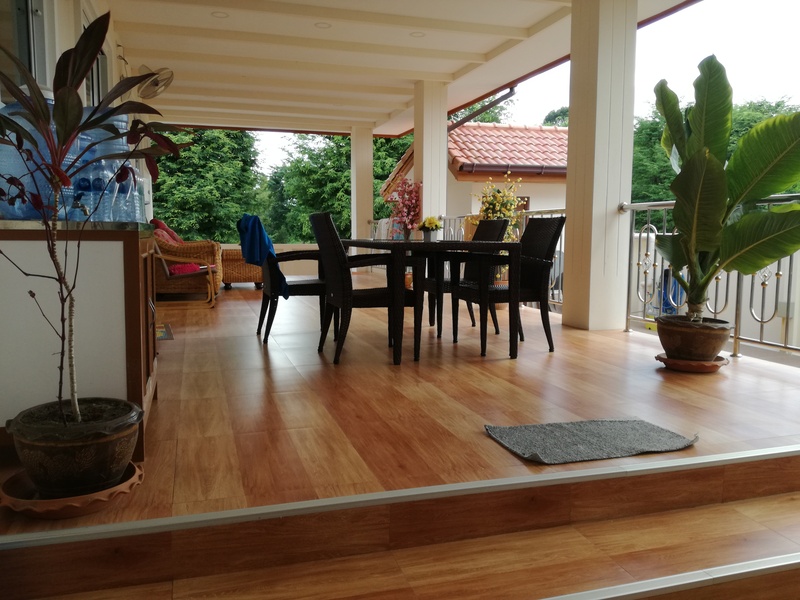 Accommodation: The house can be accessed through a wooden front door or on the side under the carport. 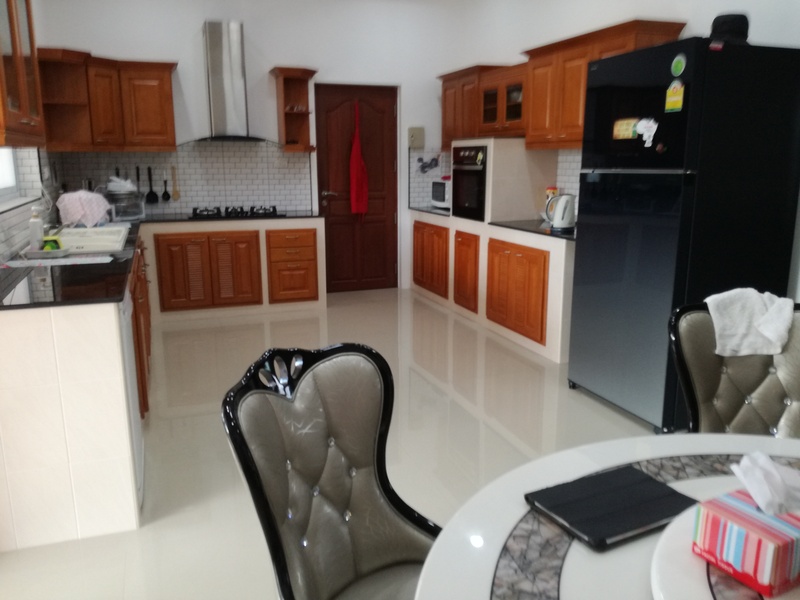 The spacious open plan reception room which has a lounge with air-conditioning and dining area, subsequent a fine western style fitted kitchen with all the necessary kitchen appliances, such as a dishwasher, electric oven, gas hob and extractor hood. At different places throughout the house are wall fans installed. The master bedroom has an En-suite bathroom and air-conditioning. 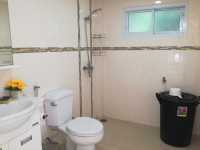 There are two further bedrooms and two bathrooms. 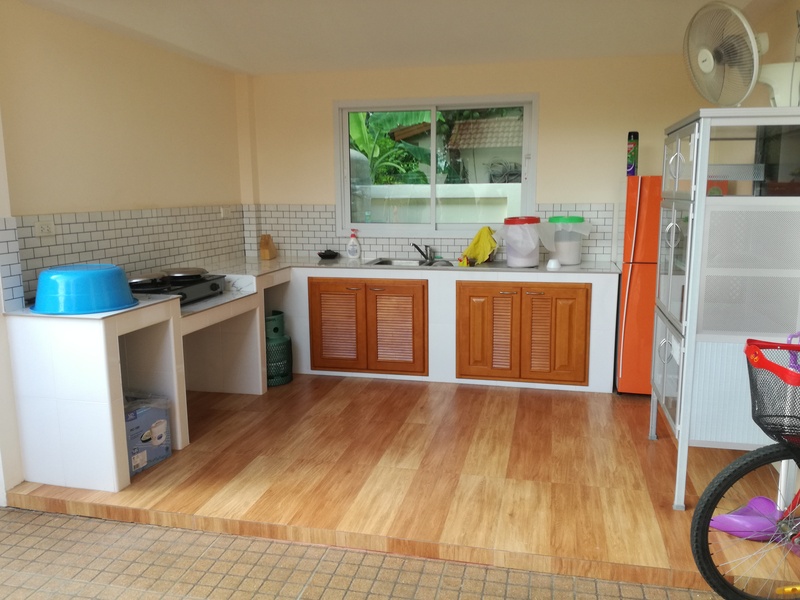 In the back of the house you can find a very spacious covered terrace and next to it, a separated detached block with three rooms. 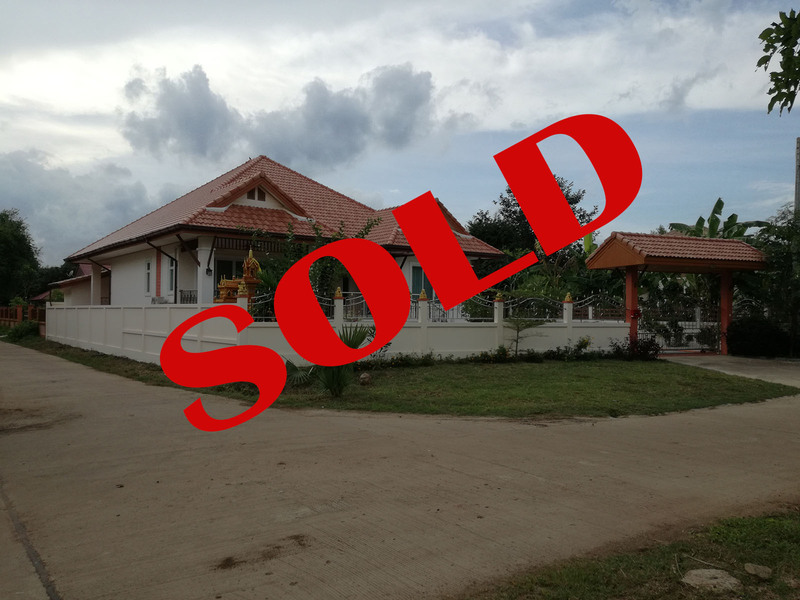 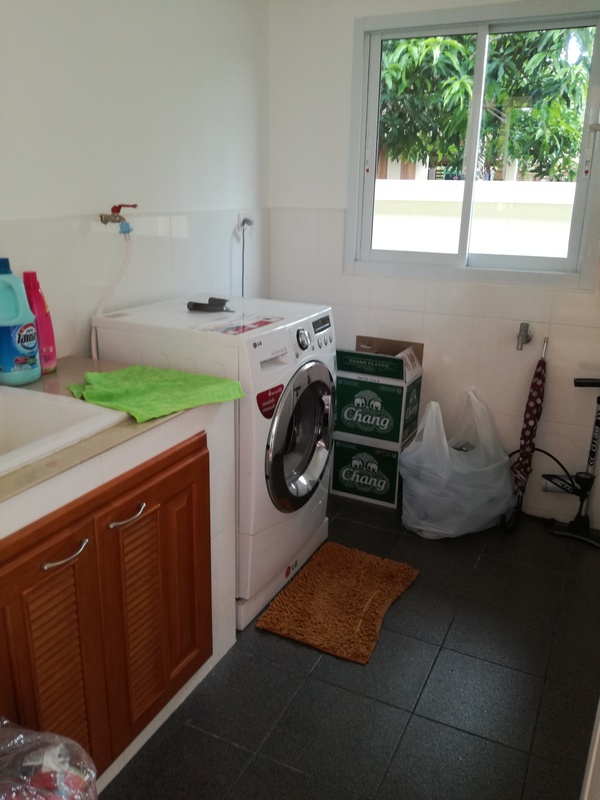 One of them is an open Thai style kitchen, next to it a bathroom and a laundry room. All furniture is included in the purchase. 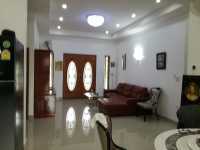 A most desirable residence in a nice location.